Home » Blog » What insurance do you need as a personal trainer? What insurance do you need as a personal trainer? 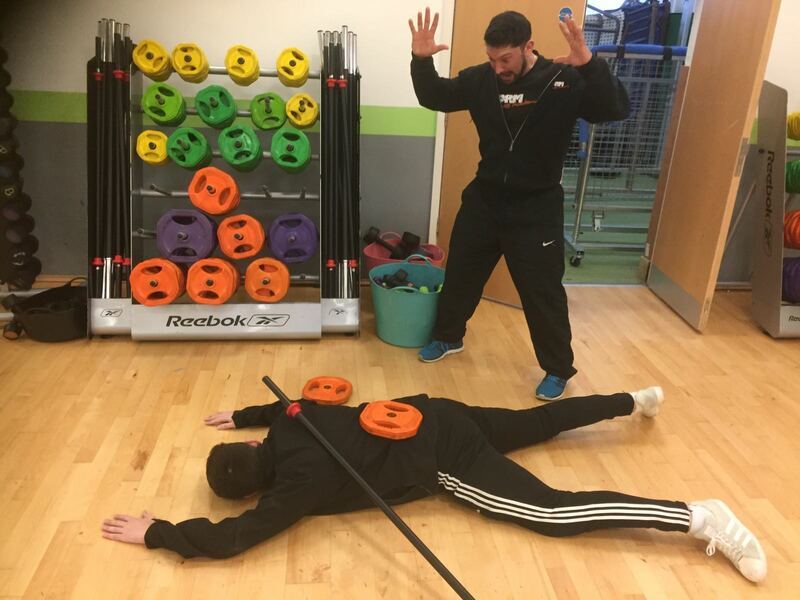 With your qualification in place you are well on your way to becoming a personal trainer. Setting up your business and deciding how you are going to market it to potential clients is a major consideration, but it shouldn’t be the number one priority. As a PT you put yourself in a position of trust. And with that trust comes the risk that were anything to go wrong with your clients, you could be held liable. Obtaining personal trainer insurance is something that should be of utmost importance to fitness professionals when they are starting out. But why do you need insurance? Court costs can be huge, and that’s even if you successfully defend yourself as a result of the claim. Accidents do happen and lawsuits are brought about, so ensuring you have comprehensive cover in place can be the difference between staying afloat as a business and going under. Most insurance policies will cover you in the case that someone blames you for an injury or damage to their property. The protection means that any costs incurred in defending yourself from such a lawsuit are met by the insurer as well as any payments that the court decides are due to the claimant. So what does your insurance cover? Public liability cover is the major component of any personal trainer insurance policy. This, as mentioned, protects personal trainers from claims from third parties regarding injury or damage to their property. This third party could be a client or the owner of the gym in which you take your sessions, anyone at all, in fact. While public liability covers you in case of accidents, professional indemnity protects you even if you have been negligent. Whether you have failed to set up the weights machine correctly, or given incorrect advice to a client on what they should eat or try at home, professional indemnity covers this. Many insurers will include equipment cover as part and parcel of their policies too. That protects damage to your tools of the trade, be it rowing machines or dumbbells. Remember to be specific about the value of your equipment as without an accurate valuation it may be hard to claim back the full amount were damage to occur. Depending on how you are set up as a business may depend on what other optional extras you want too. If you hire staff, employer’s liability will protect you if they were to hurt themselves and blame you as their employer. Personal accident cover can also be added to a lot of insurance policies which means you have some sort of financial safety net were you to hurt yourself at work. Where can I buy my personal trainer insurance? There are plenty of insurers out there, but one policy that can cover all of the above is available with Protectivity Insurance. They insure over 7,500 personal trainers and fitness professionals in the UK, and provide cover at prices starting from £50.23 a year. You can get a quote and buy cover directly through their website, but remember to call their office if you have any queries about what insurance you need. A claim can be costly if you do not have the correct cover in place, so as soon as you embark on your personal training career, make sure you have the right insurance as a matter of urgency. Yes, you can just follow the website link and you can get an online quote within a couple of hours I believe.